VATICAN CITY (CNS) — Calling the war in Syria “inhumane,” Pope Francis called for an end to the fighting, immediate access to humanitarian aid for those in need and the evacuation of the injured and infirm. “My thoughts often turn to that beloved and martyred Syria where the war has intensified, especially in eastern Ghouta,” he said Feb. 25 after praying the Angelus with people gathered in St. Peter Square. “This month of February has been one of the most violent in seven years of conflict: hundreds, thousands of civilian victims — children, woman, the elderly. Hospitals have been hit and people can’t get anything to eat,” he said. The pope then launched a “heartfelt appeal that the violence immediately end, that access to humanitarian aid — food and medicine — be given and that the injured and ill be evacuated” from an area under rebel control. The pope’s appeal came after intensified fighting in eastern Ghouta, a suburb of Damascus. Although the U.N. Security Council voted unanimously Feb. 24 for a 30-day ceasefire in Syria, government forces continued their weeklong offensive against the rebel-held suburb of Ghouta. 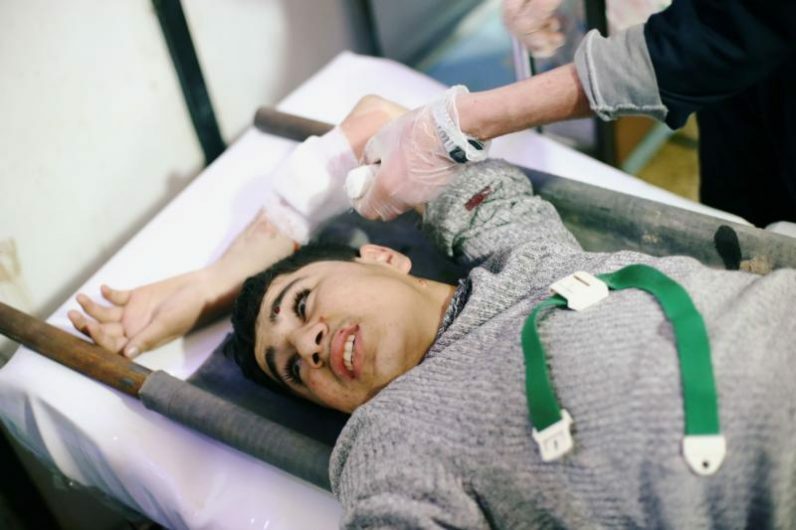 Humanitarian groups reported more than a dozen civilians were hospitalized for symptoms suspected to be associated with a chlorine gas attack. At least 500 people had been killed in the fighting in the week before the pope spoke, and the remaining residents — 400,000 people, down from 2 million before the civil war started in 2011 — continue to suffer from hunger and malnutrition.